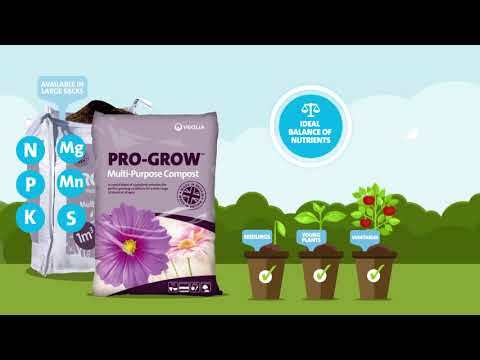 Pro-Grow Woodchip Mulch is ideal to suppress weeds, retain moisture and protect plant roots. It breaks down over time to add organic matter to the soil and improve soil structure. Pro-Grow Woodchip Mulch is a British product gathered from responsible sources in the UK. Pro-Grow Woodchip Mulch can be used all over the garden for mulching around trees and shrubs and around plants in border areas and flower beds. It will cover around 4m2 when spread at a thickness of 5cm. Order online and get Pro-Grow delivered to your home. 70L Woodchip Mulch bags are delivered within 5 - 7 working days. In order to give you the best possible value for money, orders of any more than 6 bags will be delivered on a pallet. Pallets are delivered on a 7.5t vehicle and unloaded using a pallet trolley. If you order more than 6 bags then you will need good access for a 7.5t vehicle and please be aware that the pallet trolley cannot travel across un-even surfaces (e.g. gravel). We will try our best to put the pallet where you need it but WE MAY ONLY BE ABLE TO DELIVER IT TO THE KERBSIDE.